Styx: Master of Shadows takes stealth gameplay to new heights - or lows, depending on your perspective. Remember Styx, the goblin anti-hero from Of Orcs and Men? No? He was... well, he's a goblin and he steals things. It's a background that makes him conveniently well-suited to go solo in an upcoming stealth-based prequel, Styx: Master of Shadows. Without his militant orcish ally, Styx will be forced to stay out of sight as he pulls off the greatest heist his high-fantasy world has ever known. A parcel of new screenshots reveals some eye-catching scenery. 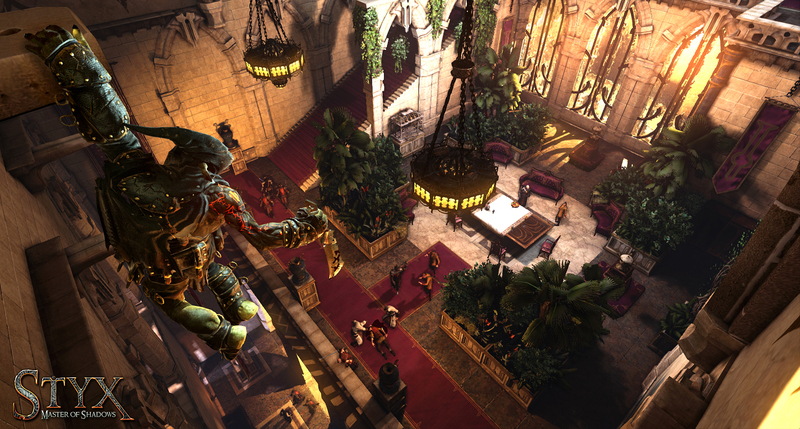 Styx's target is the Tower of Akenash, a citadel that reaches for miles into the sky. That means plenty of verticality in the level designs, which claim to be open enough that players can approach problems from many different angles. Styx isn't much of a fighter, so he'll have to climb, sneak, and crawl through any paths he can to avoid patrolling guards. It's like Thief, if Garrett was three feet tall. 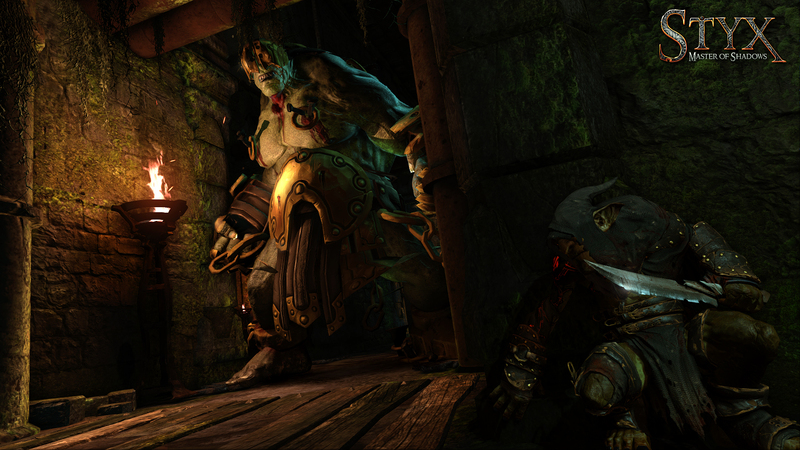 Styx: Master of Shadows comes from Cyanide Studios, the same developer that introduced Styx in Of Orcs and Men. It doesn't like this prequel shares much with its predecessor aside from the engine, though: the action-RPG mechanics seem to be replaced by third-person (and maybe first-person?) stealth. 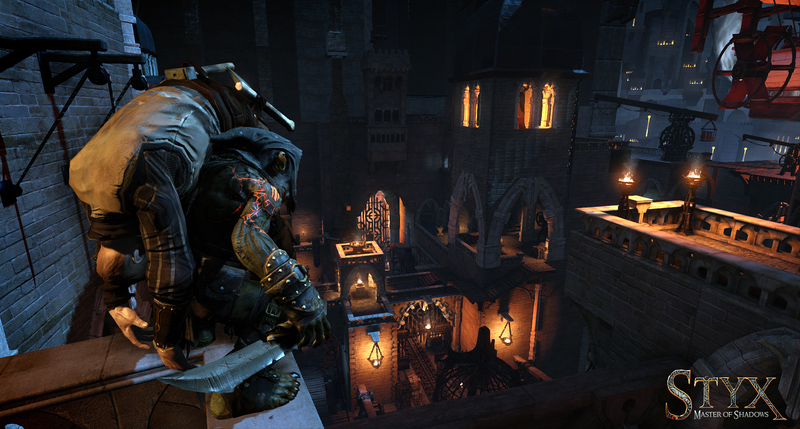 Styx snuffs out torches, distracts guards, and hides bodies like a pint-sized Sam Fisher. He's also got a bit of an addiction to a magical substance called Amber, so he's got a few more tricks up his sleeve than you'd expect from a typical goblin rogue. 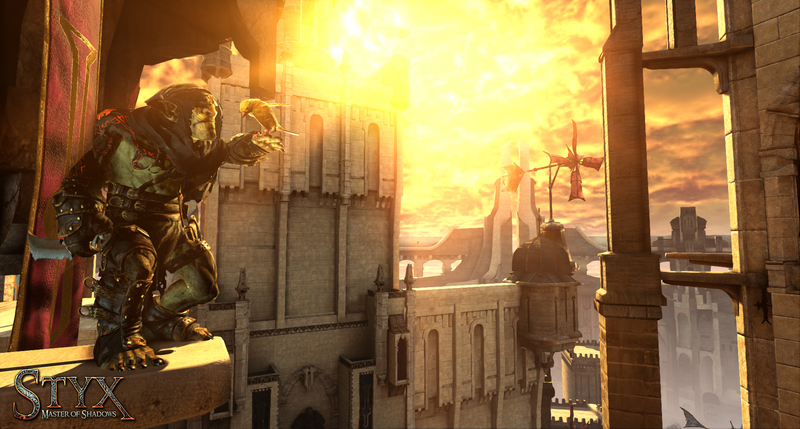 Styx: Master of Shadows is in development for PC, PlayStation 4, and Xbox One.